Barack Obama is still suffering the consequences for “acting stupidly” by commenting on the arrest of black Harvard Professor, Henry Louis Gates, at the end of his primetime press conference on July 22nd. The presser was scheduled, primarily, to address America’s concerns about the Obama administration’s vast Healthcare reform bill. But, instead, we learned some other interesting things about Barack Hussein Obama….America’s first bi-racial, internationalized, globalist president. Choosing to conveniently ignore the fact that a disproportionate amount of crime is committed by African-American and/or Latinos in communities where they make up the highest percentage of the demographics, and which are communities which must be served by regionally assigned, rather than community based, police agencies, the president said that it is “just a fact" that African-Americans and Latinos are disproportionately stopped by police." And that this was "evidence that race remains a factor in our society." Well...uh....yes. Perhaps, an analogy about rotten apples might be appropriate at this point. This was simply an ignorant statement by Obama. His "cherry picking" of statistics on this matter, and his blind partiality for blacks and latinos when they are confronted by white police officers, is a direct consequence of his narrow experience in urban community activism. If he had spent as much time looking at crime statistics in rural areas and suburbs, he would have realized how stupid this statement was. 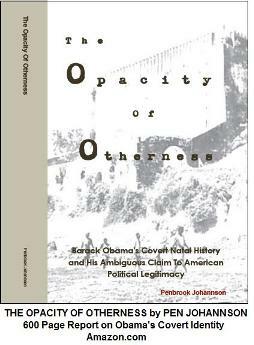 Aside from any opinions about the appropriateness of Barack Obama’s choice to comment on the benign matter about Gates, his inability to restrain his startling predisposition reveals an ominous underworld of internal substance and motivations regarding race. If it has no other effect, his prejudicial response should have alarmed Vintage America and shaken the foundations of confidence normal people have in the traditional, evenhanded image of the Office of The President. Many watching the press conference might have concluded that the matter was completely irrelevant to the previous hour during which Obama spoke ineffectively in resolving significant questions about his cataclysmic healthcare reform measure. By his response to Chicago Sun-Times Bureau Chief, Lynn Sweet’s question about Gates’ arrest, Obama actually exposed the preeminent reason for his vigor to effect social change through healthcare reform. In general, Barack Obama is angry at America. His actions abroad provide adequate insight into his perspective that apologies are required for what he believes are the mistakes of every previous generation of vintage American since America was established by Anglo-Europeans. Interestingly, Obama seems quite at ease in his role as an apologizer for others when he believes they are at fault, but he seems somewhat impudent when the situation demands recourse from his own error. The Cambridge police department might benefit greatly from an apology by the best apologizer of all, Barack Obama. In terms of healthcare reform, it should be apparent that Obama resents the quality of life enjoyed by vintage America, in part, as provided by the greatest, and most expensive, healthcare system in the world. Yes, it may be in desperate need of administrative improvement, but even in its current state, it is still the most demanded, best healthcare industry in the world. It employs the best doctors, the most advanced technology and the highest regarded institutions. Obama knows this. He is not stupid. He's simply indignant that some minorities in American society, unfortunately, are excluded for what he believes are reasons of racial demographics, when, in actuality it is because they are unqualified or fail to meet the minimum economic requirements to afford the advanced healthcare offered in the elite sectors of our society. It is the result of the monetization of America's health care industry. 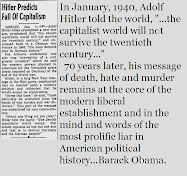 Regardless of the realities of our economy, Obama is possessed by zealotry to redistribute all the components of vintage American life, through the entitlements of healthcare, education and economic preference, to those who he believes are disadvantaged, oppressed and victims of injustice. Victims, like his friend, Dr. Gates. And, he will attempt to accomplish this by using his speciously endowed power, his ambiguous identity, his ostentatious charm and his secret psychological vendetta to remove monetary and political resources from vintage Americans and reinvest them into demographics he believes are more worthy of his image. But, the most shortsighted aspect of Obama's ideology comes through his audacious sense of entitlement. He actually believes that affluent members of our society, and medical professionals, have an obligation to provide selective healthcare to minorities. Obama is proceeding under the resolve that providers must subscribe to his version of entitlement-based healthcare. In the end, this will decimate the quality of the medical profession and utterly drive the best doctors from the industry. No doctor will want to practice medicine in an environment where they are constantly limited in their ability to develop, with their patients, the kind of relationships needed for effective healthcare decisions. It has become frighteningly obvious that Obama’s agenda, if he succeeds in implementing it, will have apocalyptic ramifications for traditional Americans of vintage heritage. Vintage America must realize that this man is not intent on changing America for the benefit of all of its citizens. Contrarily, Obama intends to do great harm to the longstanding establishments of traditional America. He is blinded by his personal experience and hatred for the advance citizenry of our nation because he thinks that Vintage America has unfairly assumed jurisdiction over the world's interests. But, what he refuses to accept is that the prosperity of the fittest is a universal truth without regard for his liberal social values. It is fascinating that Obama has never attempted to conceal his ideology insofar as he has been able to carry out his agenda through traditional political channels and legal shelter. The political climate, and absurd hatred for the previous administration, made his coup that much easier to achieve. And, evidently, we have always had an uneasy suspicion that Obama was a monger of social and community issues related to race, poverty, minorities and entitlement politics to such a degree that the American way of life was at risk. But, it is only in recent days that we are beginning to see that Obama’s much heralded, inflated personality is beginning to crack and reveal some seething character flaws and a blatantly discriminate mind. His overt response to a single question about social values, following his mindless rambling around his derisive liberal economic policies, should have told America everything it needs to know about Obama’s authentic motives. The Mombosan Son has been installed into his place of power. And, now he intends to gain control over the resources, minds and able bodies of the greatest people in human history. He intends to implement a vast policy of indentured servitude designed to evade the conspicuousness of its horror. Although he acts to appease the social values against our historical form of slavery, he is exploiting the shame of those with weakminded contrition and their ignorant hatred for America's societal prerequisites.